Onion dip – this was something everyone ate in the 60's. 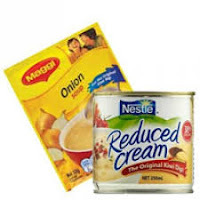 Just 2 ingredients, a small can of reduced cream and a packet of powdered onion soup. Mix it together and eat with crackers or vegetable sticks. 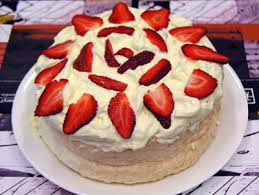 Pavlova – This one's controversial because it is claimed by both New Zealand and Australia. It is a dessert named after the ballerina Anna Pavlova and it is a Kiwi favourite still now. Usually shortened to 'pav'. Traditionally it's a meringue with lashings of cream on top and strawberries. 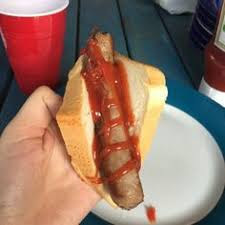 Sausage sizzle – if you go to a school gala or to a hardware store you are likely to find a sausage sizzle on the go with the proceeds going to charity. It's not gourmet – a barbecued sausage wrapped in buttered white bread and squirted with tomato sauce (our name for ketchup). Nowadays some sizzles offer onions and mustard. Wattie's Tomato Sauce – I'm mentioning a brand name here, which is unusual. But Wattie's Tomato Sauce is so ubiquitous in New Zealand. It is what we use for ketchup although at home I now use the 50% less sugar version which actually tastes just the same. 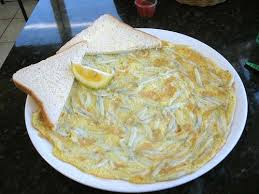 Whitebait fritters – this is a New Zealand delicacy that I haven't tried myself – whitebait are tiny little fish that are eaten whole in the fritter – and ever since childhood I haven't been able to make myself eat something with eyes. Aficionados – almost everyone except me – have a variety of fritter techniques – the best ones are said to be almost all whitebait with just a little beaten egg and salt & pepper. Some add a little flour.